We will design a piece of jewelry that reflects your unique personality. to see available pieces you can purchase now! Look at this truly unique engagement ring. 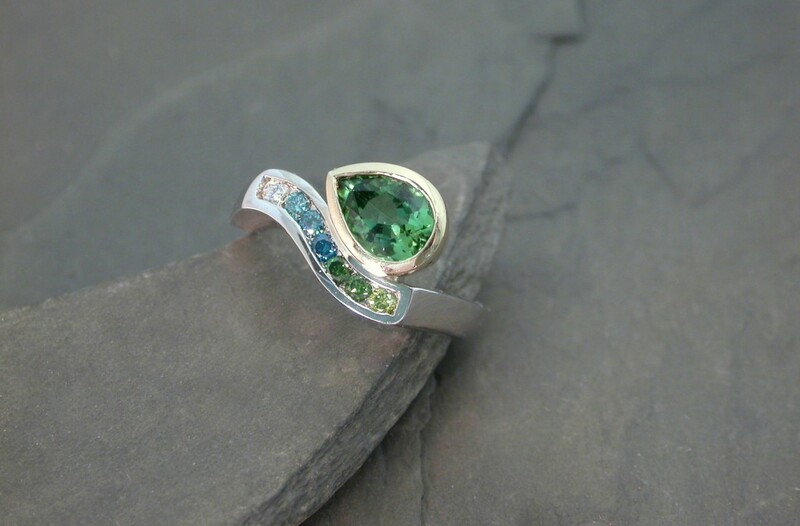 The center stone is pear-shaped green tourmaline with colored diamonds in shades of green, blue, and white. Stunning!